Taxcafe.co.uk contributes regularly to TV programmes and newspaper and magazine articles on tax matters. The BBC's It's Your Money Programme on the subject of property investment. BBC Radio 4's You and Yours on the subject of inheritance tax planning. The Sunday Times Home section, interviewed by Rosie Millard on the subject of capital gains tax. The Guardian, interviewed by Patrick Collinson on the subject of becoming a tax exile. What Investment on inheritance tax. Money Week on business tax planning. The Telegraph on changes to Child Benefit. The Times on non-resident tax issues. 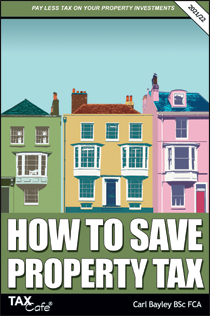 The Independent on tax treatment of buy to let property.